(TibetanReview.net, Sep29, 2015) – For the 70-year-old monk this may be a moment of returning to his roots to spend the remaining years of his life at his birthplace and among his followers in his occupied homeland. However, to the Chinese government this is an occasion to trumpet a propaganda victory. 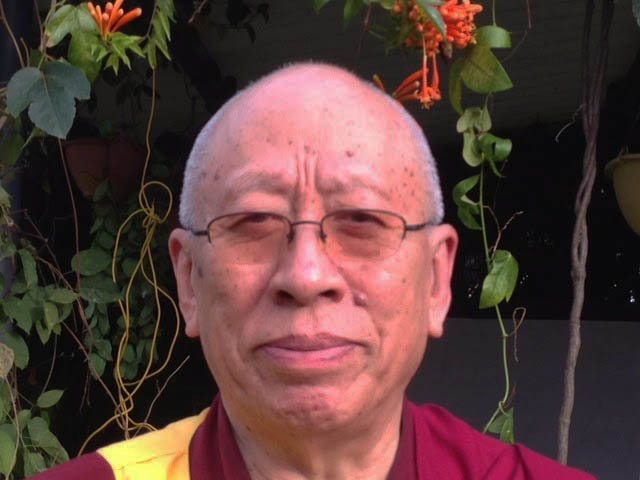 In May this year, said China’s online Tibet news service eng.tibet.cn Sep 27, “Anqu (Achok) Rinpoche who held an important post in the ‘Government-in-Exile’ of Dalai Clique refused to participate in the 80th birthday celebration of the Dalai Lama” and, instead, returned from India to settle in Aba (Tiban: Ngaba) Prefecture “with the approval of the People’s Government of Sichuan Province”. The report said Anqu Rinpoche, born in 1944 in Barkam County of Sichuan Province, is the third Rinpoche of Charlie Temple. It added that while in India, where he followed the Dalai Lama in 1959, Anqu Rinpoche was the president of “Tibetan Hospital” and the head of the “Tibetan Department of the Library of the Tibetan Government-in-exile” of the “Dalai Clique”. The report said Anqu Rinpoche was first allowed to return to China for a visit in 1982. It added that he had made several more visits over the years to meet with relatives and friends in Sichuan, including in 1987 on being invited by the 10th Panchen Lama. The report said that in Dec 2014, Anqu Rinpoche fell and got injured in Nepal and asked to be taken to Sichuan for treatment. After recovery he submitted an application for permanent settlement in China, which was approved by the Sichuan Provincial Government this April. The report claims that this happened despite the fact that the Dalai Lama himself had invited Anqu to participate in his 80th birthday events coming up in July. This is, however, most likely untrue. The Tibetan spiritual leader never celebrates his birthday and his special 80th birthday events this year were arranged and celebrated entirely by his followers, with him as the guest. The report attributed to Anqu Rinpoche all sorts of quotes and comments that routinely come out of the Chinese propaganda media, especially from its United Front Work Department, praising the Chinese rule in Tibet over the past more than 50 years.